This article also appeared as a republished guest post on Indie Games Mag. UPDATE: The bundle is now only one dollar. You have zero excuse now. Call me crazy, but are indie bundles all that indie these days? I'm probably not the best person to critique this, considering I very much have my own little place in the overall bundle ecosystem. Still, Humble Bundle has always used big names and developers to push bundles, Indie Royale does good with the exclusive ports but still relies on well known entities and Indie Gala added Flatout for crying out loud. I love both Humble and Royale to death, but for some of the games you have to ask if they really need the extra promotion from an indie bundle. Shouldn't bundles maybe try promoting games that haven't managed to break into that mainstream word of mouth? I think so. Therefore I love the idea behind the Indie Underdog Bundle. This bundle, helped along by 8-Bit Funding, is a collective of six developers attempting to raise money for their next games by bundling their old ones. They're all very small, very niche titles that you probably haven't heard of. But each of these games have some really amazing ideas and cool gameplay elements built in. It's all so very clever, and it makes me desperately want to see these next games funded. You can get the bundle for as low as five dollars one dollar, with twenty five netting you a preorder for each of the next games in development as well (which I blurb about at the end of each section). It's all Windows, except for Magi, and it's all in a DRM-free zip file. No Steam, no Desura, but please don't let that stop you. These games are genuinely fantastic, and definitely deserve a second look. Caveman Craig is a very interesting idea for a game, with a ton of very cool features. Right now I'd say it just needs more of everything, which is what Caveman Craig 2 aims to do. But on its own, the game is a great showcase for a great take on a side scrolling RTS/business simulator/hunter gatherer mish mash of cool ideas. You play as Craig, an insightful caveman who's pretty committed to surviving Darwinism. As the only competant member of your tribe, you need to gather food to earn caveman credits, which can be cashed in for hunters, gatherers and preparers. These newly recruited cave fellows mean well, but they require a bit of assistance to learn how the world works. 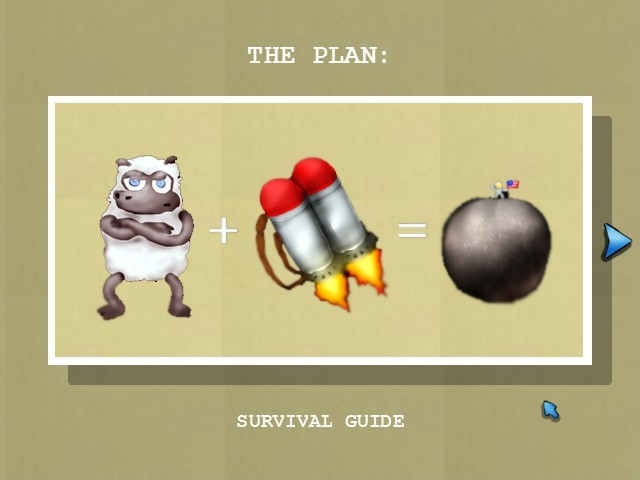 This is one of my favourite ideas in the game: to train your caveman, you need to perform the actions you want them to learn while they follow and presumably take notes. Want a gatherer to drag dead dinosaurs back to the cave? Show him how. Think your hunters would survive better if they thought to duck? Chuck rocks at them until they learn to fear heavy objects. It's very neat, and combined with the unlockable upgrades to enhance productivity it makes for a very addicting and fairly innovative survivalist game. You need to become successful and profitable (in terms of edibles) while dealing with random attacks from raptors and worse. Get to thirty cavemen, and you win. Like I said, the game just needs more stuff. The Special Edition already helps with a new enemy dinosaur, the upgrade bonuses and enhanced controls, but I think they just need more. More actions to train your cavemen with for sure, and perhaps more flexibility between assigned roles. And definitely more control over and more variety in the already great upgrade system. Still, I came away impressed and a desire to check out the sequel and see if they followed up on any of these ideas. 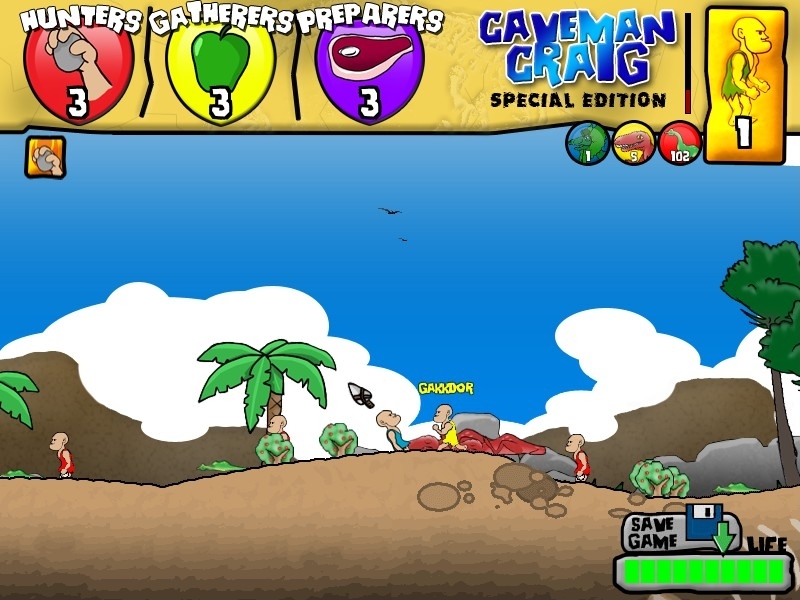 Coming soon now: Caveman Craig 2, which is already available on Desura. Same interesting and unique gameplay base, more of everything. Animal Blast looks like a fairly standard platformer-like game with a hook that, while uncommon, isn't completely unique. 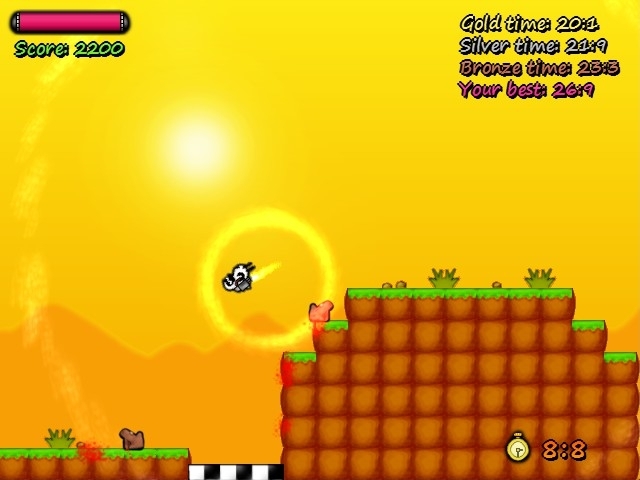 In Animal Blast, you have an out of control rocket pack that propels your character recklessly through tight spaces and small gaps. 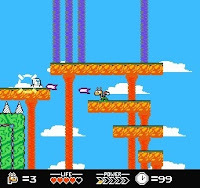 There have been a lot of takes on this formula, most famously Nimbus, but Animal Blast does actually bring something unique to the table not found in most other examples: brutal difficulty. It's a really difficult game. First of all, the controls are purposely a bit tricky to master, which keeps you guessing and overcompensating for your rocket, complicated by the boost power you have that really emphasizes the out of control feeling. Secondly, the walls and tunnels are far less forgiving in terms of space than other such games. Thirdly, there's no health here. One hit you die. Even if you just take your time, you'll never get any of the medals; tearing through the first level as fast as I could without dying granted me a bronze. Ouch. Is this a bad thing? Hardly! 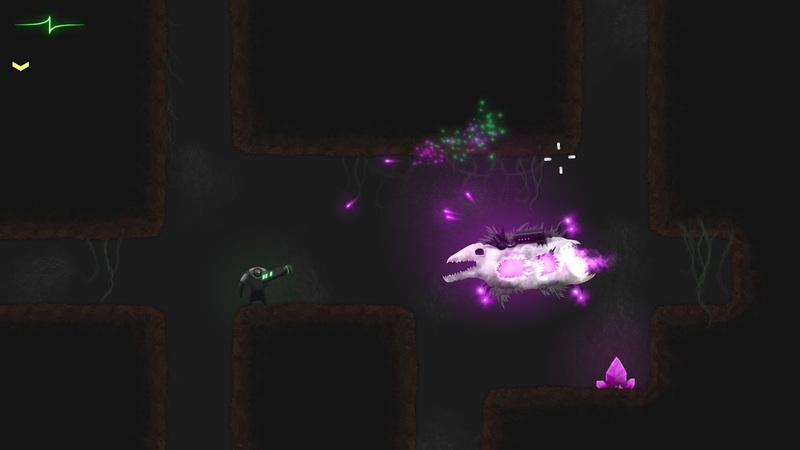 Super Meat Boy has thoroughly proved that there's a market for tough as nails platformers, and Animal Blast takes an uncommon genre and doles out the harshness. 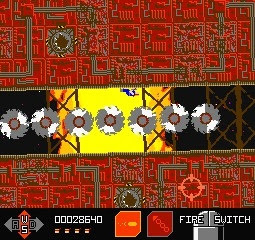 It's obviously not as polished or as zippy as the aforementioned Meat Boy, but you can see how they apply the same design philosophy in terms of difficulty. There's some other twists to the gameplay, including multiple unlockable characters and hidden upgrades, but they didn't particularly jump out at me as interesting or unique. Far more intriguing is the difficulty. 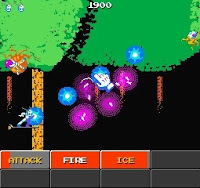 If you found games like Nimbus a bit easy for your tastes, Animal Blast cranks up the challenge for all of us masochists. Coming soon: Skull Reaction, a combo driven chain puzzler. Blow up skeletons to blow up more skeletons. I'm down. 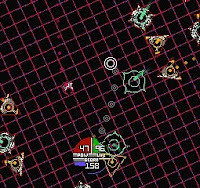 Koya Rift is a very neat mix of top down (well, from the side) shooter, tower defence and a bit of real time strategy. The game feels a bit like an in progress work, but it's still quite a bit of fun to mess around with. I'm certainly intrigued enough to check out the enhanced completed game the developers are now working on. 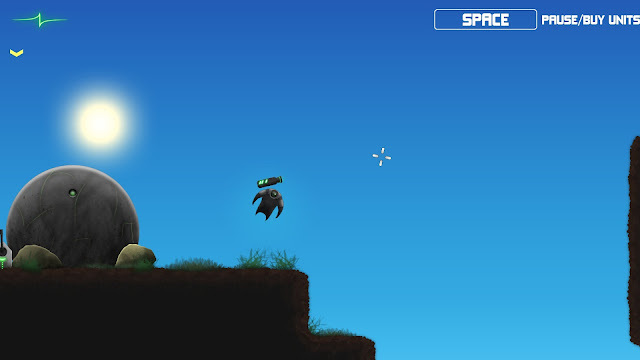 In Koya Rift, you play as a tiny soldier in a space suit tasked with clearing out the crust of the planet Koya. Koya is very rich in resources, but it's also full of terrifying ghost skull energy creatures. But capitalism is always the way, so you must descend into the caves and tunnels by your home base and remove the crystals releasing these horrors with a wide variety of procedurally generated weapons. It's very fast paced, and very fun. There's a ton of variety in the effectiveness of weapons and the bonuses that get added, and you can purchase squadmates and defences to help you play Ghostbuster. 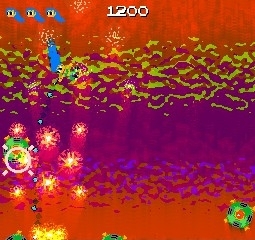 Also very cool is the brilliant looking energy effects, which are smooth and bright and hectic. Throw in four squadmates and a giant weapon and you have a fairly stunning light show. The cramped quarters make it a bit hard to dodge as freely as most shooters, but it's not too challenging to readjust and the cramped quarters enhance the game through limited mobility, in my opinion. It's a bit incomplete at the moment, with the biggest issue being lack of control over difficulty. Instead of allowing you to set the parameters of each match, the game just slowly cranks up the difficulty at a glacial pace. But even with this slight downside, the core of the game is awesome and I'll certainly be keeping track of the full enhanced edition release. With a few more features and a full campaign or custom map mode, this could be a really great time. Coming soon: Koya Rift Enhanced, which looks to fix many of the problems and expand the excellent framework into a full game. Entering the prestigious field of Bejeweled games is Potion Master. If you're sick of Bejewlalikes, don't roll your eyes; there's some cool stuff at work here. The developers of Potion Master, despite building from the typical match-three format, have made some serious improvements, tweaks and changes to what you know. What remains is a game that is much easier to control and manipulate, but also harder to master. 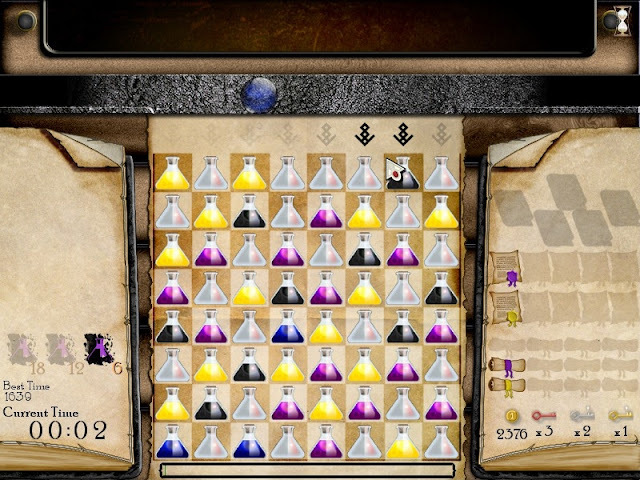 In Potion Master, you are an apprentice attempting to assemble a Philosopher's Stone by performing some very tricky magic chemistry. You have a field of potion bottles, full of various colours and liquids. 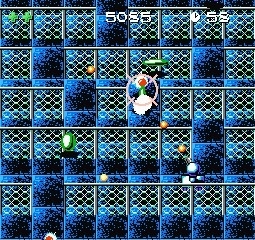 You need to match up at least three vials of colours by swapping the bottles, trying to get combos of four or five to get power-ups and treasure chests. However, there's quite a difference in how the game plays. Unlike most Bejeweledalikes, you're allowed to swap any bottle at any time, letting you bring a bottle from one side of the field to the other. You also have empty bottles, which you can fill with various colours to set up combos. The final complication is black potions. These cannot be removed by matching three, and indeed cannot be moved at all. The more you remove from the board, the more black potions appear to screw up your playfield. Also adding to the formula is extra goals per level. You need to complete these to unlock medals and gold. It completely changes how you play the game again, giving you atypical quests to change up your strategies and goals by requiring you to do certain tasks before you run out of space or finish the level. Another tweak is the slower pace. There's absolutely no overall time limit, but the multiplier bar slowly drains with each move. This allows a bit of roller coaster pacing, with slow meticulous planning stages interspersed with furious bouts of clicking. Overall, it's still a match-three game, but a really interesting take on the genre. The focus on goals, different pacing, freedom of control and oppressive use of obstacles make for a very unique twist on a tired genre. It certainly caught my eye and it was a pleasant surprise to see such neat ideas in action. Coming soon: The 9th Wizard: Rings of Eternity, which is an awesome looking roguelike. As a lover of roguelikes, yes please. I don't have a clue what to call Magi. It's got a bit of a tower defence vibe to it, a bit of card battle game influence, a tiny dab of RTS and even a bit of WoW to be honest. It's probably easiest just to invent a new genre for this. Wizard Duels? Sounds awesome. In Magi, you are a wizard (or a witch, or a shaman, or a mage, or an alchemist) who, like all awesome wizards, is seeking immortality in the coolest way possible. Instead of doing boring wizard research, your goal is to trounce every other wizard in the world, becoming powerful enough you can beat Death and send her packing. Each year you have the option to face down a rival wizard, levelling up and unlocking new skills each time. 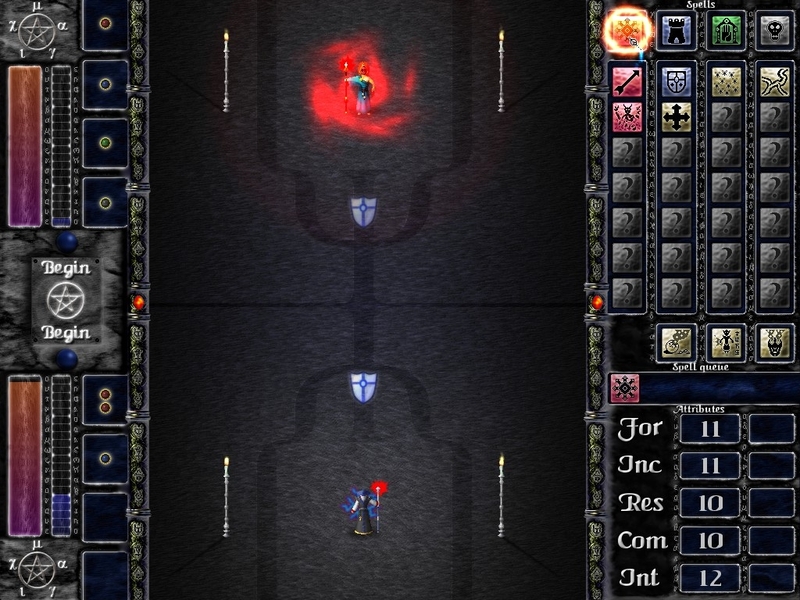 The way these wizard duels work is very neat, and a bit like a card based battle system except with all of the cards available at once. You need to spend time and mana powering up your four schools of magic (offence, defence, summons and curses) which allow you to soup up your magic and cast higher tiers of spells. Then it becomes a game of management, timing your spells to keep up shields and break through your enemy's defences. 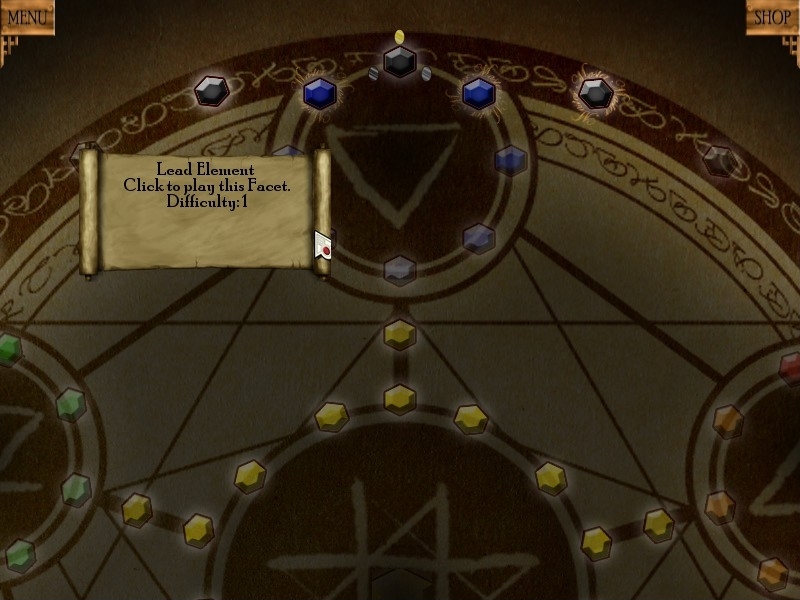 There's a ton of different spells to use and unlock, and a lot of classes to choose from that each bring unique abilities and skill focuses. 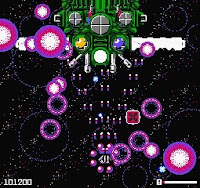 It's a very hectic and very neat game, with cool pixel based art to boot. It's also probably the most full featured game in the pack, and probably the highest quality one as well. Why this never made it as an indie hit is beyond me, because it is great looking, unique, fun and addicting. Definitely a worthwhile game to check out. Coming soon: Cinders. Cinders is a visual novel set in a fairy tale world. It looks awesome, and it's a western developed visual novel. That's on par with a unicorn in terms of rarity. Lazy Brain Games is an awesome studio. It's like they've been quietly sitting in the corner making NES games since 1990, totally unaware of any developments since. But in this perfect little time bubble, they've managed to come up with several new ideas and gameplay elements. While the rest of the industry gets bigger and shiner, the retro aesthetic of Lazy Brain games have led to new and clever gameplay ideas. Plus don't forget about the amazingly nuanced pixel artwork and soundtracks. Sure, the games are freeware, but they're awesome and I want Lazy Brain to be compensated for this awesomeness. 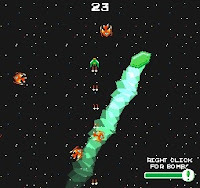 There's ten games that come in the little Best of Lazy Brain zip folder, mostly various takes on space shooters, but I'm only going to look in depth at one, which is my favourite and also the prequel to the game the IUP Bundle is funding: Infernal Edge. 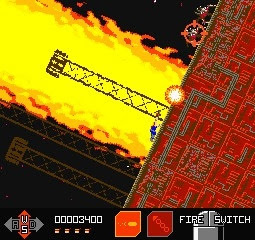 I said it on Twitter and I'll say it again: Infernal Edge is like if Contra and Bionic Commando had a perfect tiny baby. You are a space commando unwisely climbing up the side of a space ship with all the friendliness of a Super Meat Boy level. Like Contra and Metal Slug, the game revolves around the ever present desire to move up and right, despite the crazy explosions and enemies swarming you. The main hook (ha!) 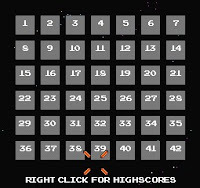 of the game is your hook shot, which you need to use to jump to other surfaces, dodging buzz saws and traps. The hook is used in many other ways too, most cleverly on the first boss. Sure, it's not like a hook shot is a particularly new idea, but combined with the run and gun genre and the Contra aesthetic, it's like a whole new game. Considering Bionic Commando is my favourite NES game, Metal Slug is my favourite arcade game, and Infernal Edge takes the best parts of both (grappling hooks, endless shooting and ridiculous set-pieces). I feel like it was made for me. But even if you're not on the same page as me, Infernal Edge does have a lot of cool ideas at work. It looks and plays like a NES game, but it's unlike any sort of NES game you've played. That last sentence can apply to most of the other games in the pack, to be honest. All the Lazy Brain games take a so very familiar style of graphics and gameplay, but adds in completely new and creative ideas. Here's a bunch of short reviews of each. What fun! Crystal Wave: Pretty looking Asteroids clone, but nothing too interesting. 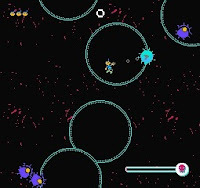 Cyborg Virus: Awesome Asteroids clone, where you have to stay within protective bubbles, and you need to use a grappling hook to drag your enemies close enough to hit with a melee shock attack. Quite an innovative take on the genre. Factorium: Kind of like a side scrolling shooter, but if someone decided to throw in an interface straight out of classic LucasArts adventures. You drag verbs onto the field to attack your foes. Neat idea, a bit hard to control, but it's a very unique idea. Mecha Spider Island: Delightfully weird platformer with shooter elements. You are half giraffe and half frog, and you must ascend floating platforms and kill mecha spiders. Another awesome element to Lazy Brain games is the nonsense storylines ripped straight from manuals out of the eighties. 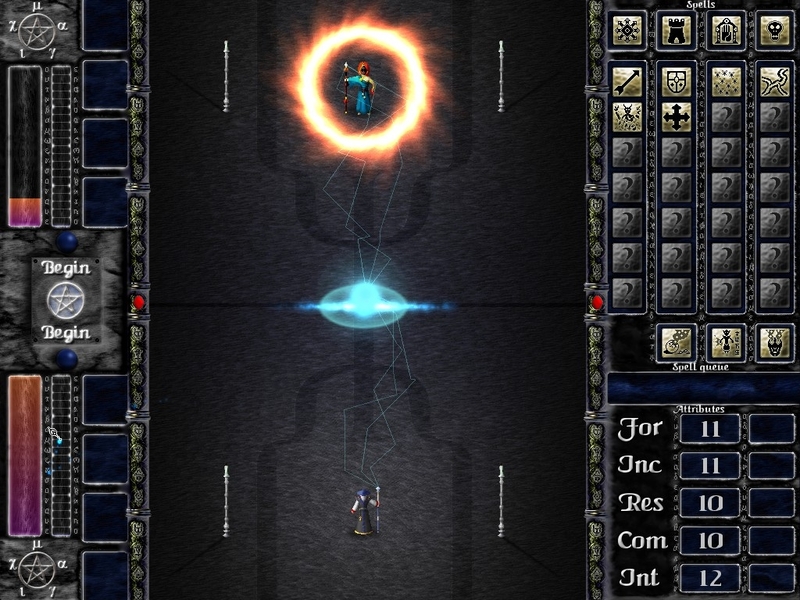 Omicron: Bullet hell shooter, and kind of an Infernal Edge prequel. The twist here is that you can absorb the bullets by clicking on them, which lets you fire a screen clearing bomb. Neat. Runner Gunner: Top down shooter, pretty typical fare. The mazelike levels add quite a bit of difficulty. Sky Scream: Vertical scrolling shooter, but you play as a blue haired woman falling without a parachute. It's fairly typical in terms of gameplay, but hilarious and over the top in terms of graphics and premise. 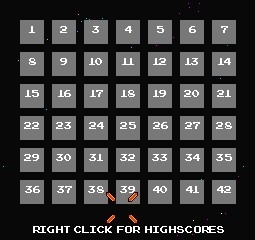 Space Fish: Would not load past the level select for me. Unfortunate. Techno-Drome: You play as a dome, which follows around your mouse cursor at arms length. Anything you click on that gets in the way of your cursor and the dome gets destroyed, but your energy is quite limited and needs to recharge. Another unique top down Asteroids-like shooter. Coming soon: Infernal Edge 2. Bigger, badder, more awesome. Yes yes yes. I'll take ten. These games may not have the production values of a fully loaded indie release, but the awesome ideas alone makes me comfortable with recommending you pick this up. I feel like these kind of ideas should be encouraged and praised, and I definitely look forward to seeing what these talented designers come up with in the future. Hopefully with the funding from this bundle they can start going nuts. It just seems kind of sad to me to see that these guys haven't even broken $2000 in sales, when stuff like the latest Humble hits over half a million dollars for a pack of mostly so so Android games. So spread the word, folks! Let's get it out there, and give these awesome folks a second wind of funding. Go check out the IUP bundle now! How does this bundle work? Is it like Kickstarter, where the funding must be successful for you to be charged and for you to get the games? What happens if they don't reach their goal? Is all the support that they've gained just lost? Nope. Unlike Kickstarter, 8-Bit funding will send the money along regardless of hitting the goal or not. It makes it a bit riskier than Kickstarter, of course, but for this bundle you get all the games downloadable right away after donating. Plus, I know the other games are still being developed regardless, the money being raised was to try to up the porduction values and get higher profile releases (Steam and such).